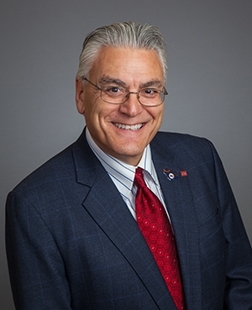 Alex Ruggieri, CCIM is a Senior Advisor for SVN-Ramshaw Real Estate specializing in the sale of investment properties in Central Illinois and beyond. With more than 40 years of commercial real estate industry experience, he has built an array of valuable business, real estate, and banking community contacts that benefit his clients. Ruggieri has secured a transaction career sales volume in excess of $500 million. Alex: I am located in a smaller market so I specialize in more than one area of commercial real estate. Since we have the University of Illinois, student housing is in big demand out here, so I do a lot of land assembly for multi-family development. I also specialize in industrial properties and corporate consulting. My schedule varies from day to day; I travel a lot to get new business; I regularly go out of my market to find ways to put buyers and sellers together; I get out and meet people and I network a lot. I work with investors from all over the United States and ClientLook gives me the ability to access my data anytime, anywhere. It works perfectly for me. Alex: I started using ClientLook about ten years ago. Since then, SVN switched to using Apto but I chose to stay with ClientLook because I was already comfortable with the system. I have to admit that I tried to use Apto, but the system isn’t user-friendly and they didn’t offer any customer support. I could have Apto for free, but ClientLook offers so much value that it’s worth it to me to have a CRM that I can fully utilize, works seamlessly, and offers exceptional customer support. Alex: Before ClientLook, I was using Outlook. Getting all my contacts and data imported into ClientLook was a seamless process and I was up and running within a week. Alex: ClientLook has helped me with staying organized, keeping track of contacts, and staying on top of my pipeline. The biggest thing that I really enjoy about ClientLook is that my database is always up to date thanks to the Virtual Assistant team. For example, when I receive an email from a prospective client, I simply copy their email signature and send the contact information to the VA. Within a short time, their contact information is entered into my contacts and then when I receive a call from that person their name will show up on my phone. My database is always up to date and the Virtual Assistant saves me a ton of time. Tell me about your overall experience with ClientLook. Alex: I am a raving fan and the entire ClientLook team is outstanding! When I spoke with Michael Griffin, I was going on and on about how much I love ClientLook and how it has helped my commercial real estate business. At the end of the day, everything comes down to people and human interactions. At ClientLook, everything goes through a real person; whether it’s the Virtual Assistant team or I reach out directly to Michael or Chuck, my phone calls and emails are always returned quickly. I have run into Michael a few times at conferences, and he always makes a point to say hello to me. ClientLook truly values their subscribers, and their customer service is top notch. Alex: Since I travel a lot, I like that I can access my data anytime, anywhere with ClientLook. The system is easy to use, portable on my phone, and since it’s cloud-based I always have the information I need for my contacts, properties, and deals. With ClientLook, I don’t have to think about the system; it’s always working and always up to date. I also use the Virtual Assistant team multiple times per week. This feature is amazing! Why did you choose ClientLook CRM? Alex: I originally started using ClientLook because everyone at SVN was using it. Once I started, I enjoyed the ease of use and how all of the features were made for the commercial real estate industry. I felt a personal connection with ClientLook because everyone on the team has treated me so well. ClientLook offers great customer service, always answers my questions quickly, and responds to me in a timely manner every time I reach out to them. To be honest, I tried using Apto and they didn’t help me with anything, wouldn’t return my calls or emails, and I even had a training scheduled that they canceled at the last minute. Once they canceled on me, I canceled with them. ClientLook is the CRM to go with! Alex: I would tell them to talk to actual users to get their perspective. The best CRM is the one that you can easily understand and use consistently. It’s not all about the features; what matters is how useful the features are to your commercial real estate business and how comfortable you feel using the software.